This week has been non-stop holiday celebrations at the office. Grazing day, luncheons, secret Santas. I needed an outfit that really reflected the festive mood. What is more festive than a pug? 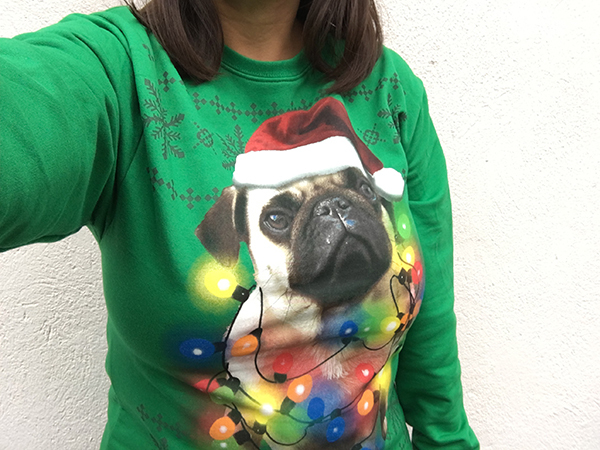 Behold the Christmas pug sweatshirt! 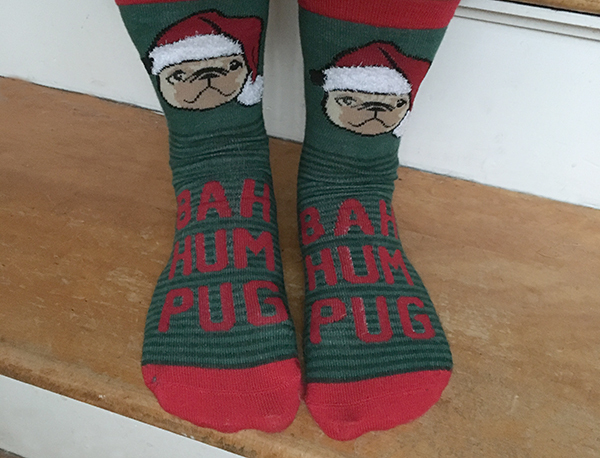 And Christmas pug socks to match. I think the outfit was a hit. This is what Stewie has to say "THAT'S A LOT OF PUG!"